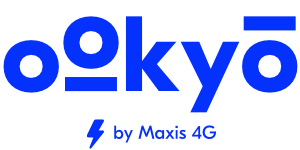 Use the service anywhere in Malaysia and when you roam overseas. However, we currently only deliver to West Malaysia and do not deliver to Sabah and Sarawak. You need to have the ookyo app installed and running on your device. We currently only support Android devices. If you are an iPhone (Apple iOS) user, hang in there!